I'll probably contemplate it for weeks and then forget about it. Talk me into it! don't do it! that price tag for a mere tee is not justified at all, imo. 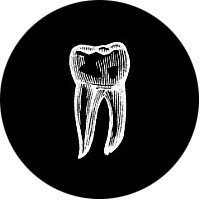 especially since it's not any fancy design, just a big fat logo helping to advertise the label. unless you're lusting after it for sentimental sake re: dead designer. just do it... money is money it comes and goes. I'm with Andrew W.K. on this one, just make it, seriously. 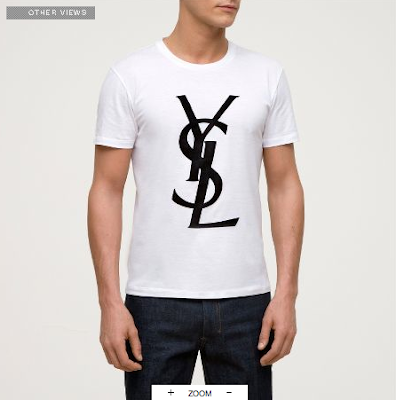 If the piece was particularly unique in design I'd totally encourage you to save up and invest but this is just a cool t-shirt with a YSL logo on it. I do however think you should start an ebay store selling off all the cool stuff you never wear! Think of it as starting your vintage shop but without a building! That looks so easy to screenprint. Look it how to do a real print & just make it yourself, no one in Winnipeg will know!